So first off, you have to be aware that this is not one of those heritage sites that are obviously old: many of the sights in Jabal Amman are of the more modern kind, especially when you consider that other parts of the city-like Citadel Hill, for instance-hold ruins dating back to the 2nd century CE. Does this make it any less entertaining a place for the traveller? Not at all! 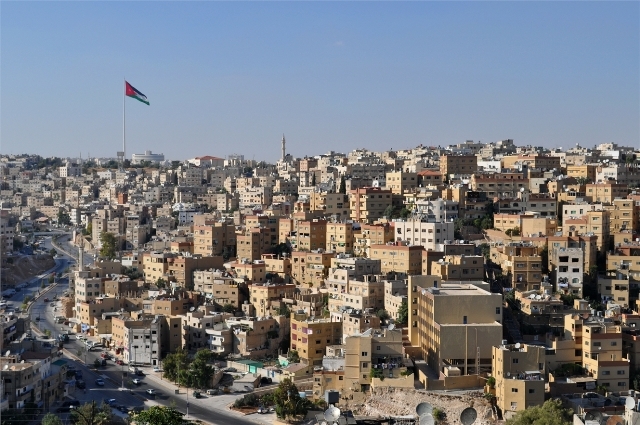 For one thing, the hill holds several things that have their own attractions, like the annual Souq JARA (Jabal Amman Residents Association), which is perhaps among the best-organised and best-attended of all the special market days or bazaars in the capital. During Souq JARA, both locals and tourists turn out to peruse the offerings at more than a hundred stalls, many of which are manned and owned by local artists, tradesmen and craftsmen still practising their arts and trades. Another thing that is to like about this hill is that it has a quaintly relaxed sort of feel to it that many grow to like. It is the perfect place for a simple and laid-back walk in the capital, and with the plethora of old (again, note that they are not as old as Citadel Hill’s) buildings to see, that is pretty good value for practically no cost save your own legwork. You can start off by looking at buildings such as those of the Royal Film Commission, which purchased one of the 1930’s villas on the hill and had it renovated and restored for the purpose of turning it into a venue for their screenings and exhibits. This is actually pretty typical of Amman organisations: since there are so many beautiful old buildings all over the city no longer being occupied, most organisations just tend to buy the old structures and have them restored for their use. Darat al Funun, a local art gallery and arts house, for example, has done much the same with its centre. You can also look at such well-known exemplars of distinct styles and movements in Amman architecture like the Mango House and al-Mufti House. The two houses are just across each other, in fact, and both present interesting notes on the progress of architectural aesthetics in the Jordanian capital. Besides there are many other old houses and villas in Jabal Amman that you might want to simply appreciate for their looks: many of the houses here are from the 1930’s and 1940’s, so if you have brushed up on your local architectural history, you might be able to recognise which houses come from which era just by looking at them.